A neurosurgeon is a doctor who performs the diagnosis and surgical treatment of nervous system disorders. Neurosurgeons require extensive education and training. As described below, a neurosurgeon’s role is distinct from that of a neurologist. Some common complications of the central and nervous systems that a neurosurgeon treats include tumors, trauma, vascular disorders, infections and degenerative diseases. Much of a neurosurgeon’s work centers around brain and spinal disorders. He also studies and treats conditions involving the skull, nerves and blood vessels, protective coverings and ligaments that support nervous tissues. Nervous system disorders often result from aging, trauma and abnormal development from birth. These problems are quite complicated and often require challenging surgeries performed by a skilled, knowledgeable and experienced neurosurgeon. 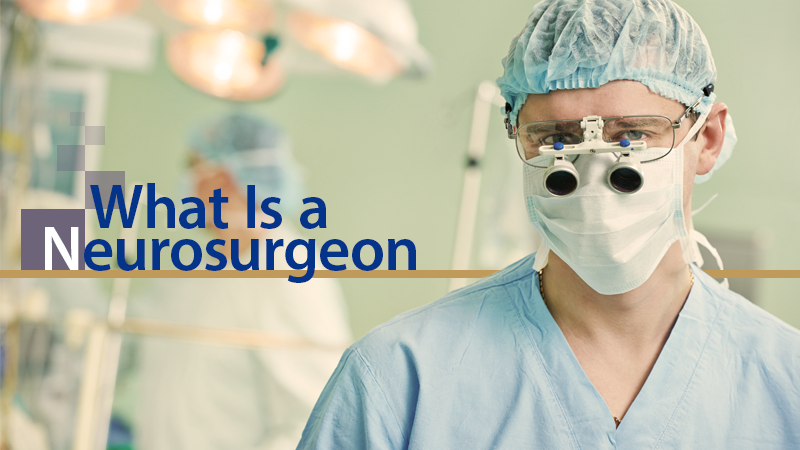 A neurosurgeon must complete both an undergraduate and medical school education. Neurosurgeons also complete a full year of training after medical school where they observe and perform general surgeries. They then proceed to another residency training period that lasts between five and six years. 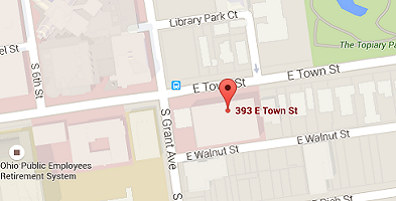 This training is specifically focused on neurosurgery. 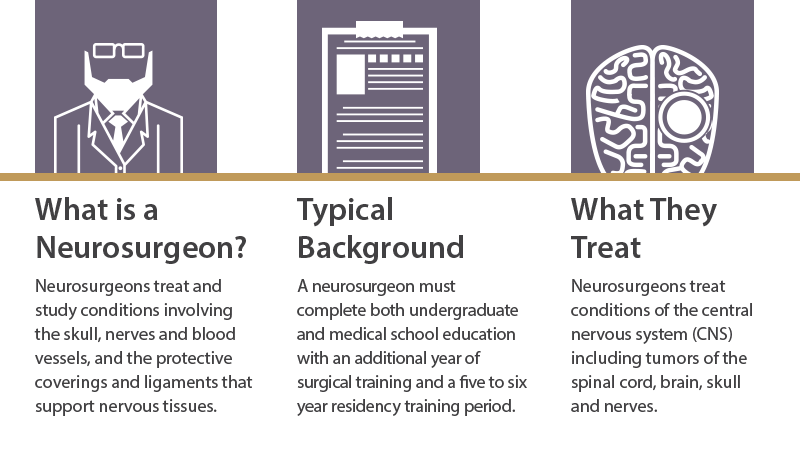 Here, a neurosurgeon-in-training is exposed to a wide range of neurosurgical problems and corrective treatment methods. Since there are only around 100 such programs in the entire country offering only a handful of residencies, candidates must meet the field’s lofty intellectual challenges. Neurosurgeons treat a number of complex problems relating to the human body’s central nervous system. These include tumors of the spinal cord, brain, skull and nerves. Such tumors grow from local tissues, and they can also result from a metastatic spread of cancer that resides in another body site. One of the most common problems that neurosurgeons treat is pain stemming from the back and neck. Such pain is often the result of pinched nerves created by slipped vertebrae, fractures, infections, bulging or ruptured disks, or overgrown bones. Neurosurgeons also treat patients who experience weakness, numbness and pain in the arms, hands, legs and face. Other common medical challenges that neurosurgeons are tasked with treating include strokes, aneurysms, epilepsy, Parkinson’s disease, brain hemorrhages, carotid artery disease and blood clots that affect the spinal cord and/or brain. While the the names of these two doctors sound similar, their roles in the medical community are distinct from one another. A neurologist is a physician who studies and treats neurological disorders. While neurologists see some of the same patients as neurosurgeons see, they are not one and the same. When the neurologist’s medical intervention does not make a positive impact, he’ll typically lean on the guidance of a neurosurgeon, who can attempt to evaluate whether the patient should undergo surgery. When surgery is not required to treat the nervous system disorder, a neurologist’s medical management will often suffice. For example, a patient who is experiencing a physical malady will typically first report it to his primary care physician. He’ll determine if it is related to the nervous system and then refer the patient to a neurologist. The neurologist will attempt to treat the patient’s disorder. If his attempts are unsuccessful, he’ll refer the patient to a neurosurgeon, who will examine the possibility of corrective surgery. https://www.drshehadi.com/wp-content/uploads/2015/03/200140302-001-surgeon-looking-at-brain-scans-in-gettyimages.jpg 476 360 Dr. Shehadi https://drshehadi.com/wp-content/uploads/2017/04/logo-drshehadi3.png Dr. Shehadi2015-03-31 17:40:072018-04-14 15:07:13What Is a Neurosurgeon?